Sevaral weeks ago i saw a post on CNCZone. 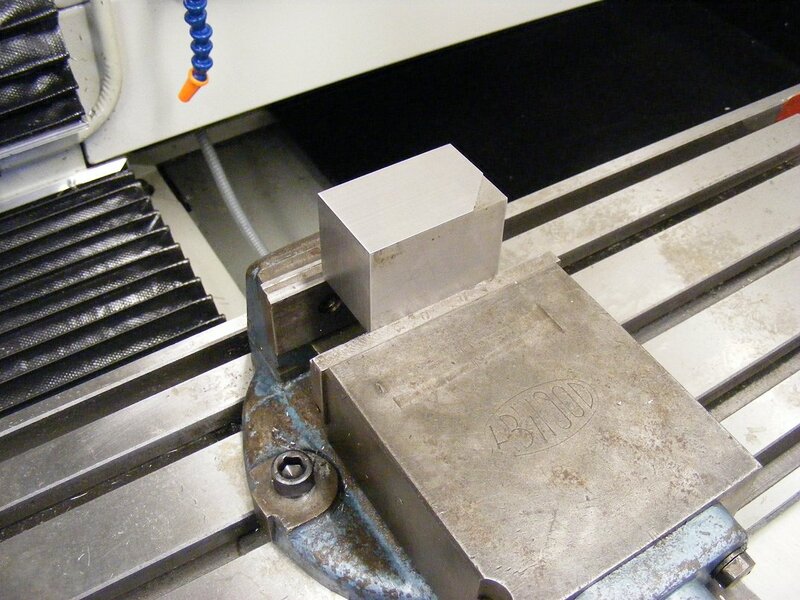 A HSMadvisor user Peter Neil used it to calculate cutting conditions for cutting a block of pre-hardened stainless steel. Did a test cut on the Tormach today using feeds & speeds from the latest version of the excellent HSM advisor. To make it interesting, I did the cut using some 1.2085 pre-hard Stainless Steel as I have plenty of stock of it and have a job in mind for this, and wanted to see how it cut on the Tormach. 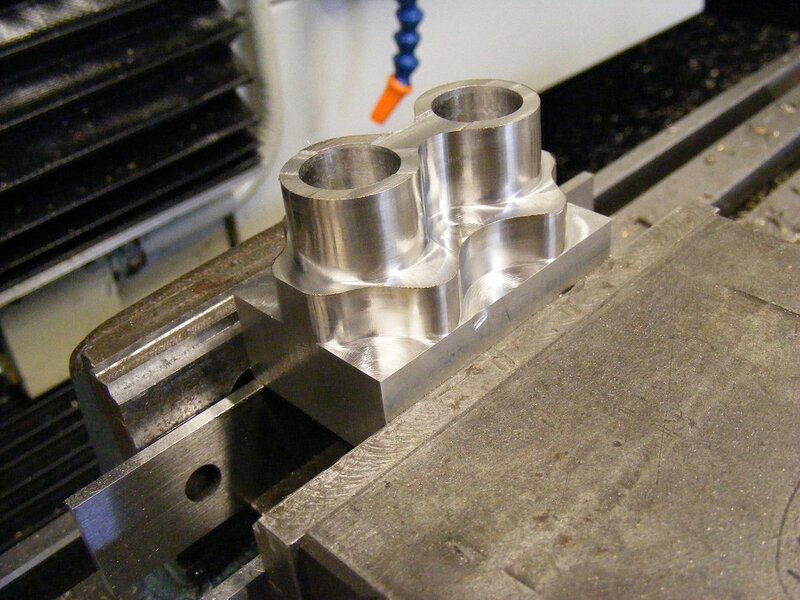 The material is like a stainless P20, at 16% Chrome/1% Nickel & 0.5% Sulphur (which makes it slightly free-er machining) and is hardened to around 33-35 Rockwell C, so I used the HSM advisor guidelines for machining P20 rather than Stainless. Cutter was a 10mm 4-flute Carbide TiAlN coated EM. So...... ticking the HSM/Chip thinning option I got a speed of 5120 and feed of 2214mm/minute( 87 IPM). I used a DOC of 10mm and WOC of 0.5mm/0.020" - and turned off the flood cooling to machine it completely dry. The finish pass on the 1st level was 15mm DOC and 0.5mm WOC and slightly lower speeds/feeds. Very impressed. Total cut time around 12 minutes. The spindle load meter went into the Yellow zone on some of the 10MM DOC corners, but for the rest it was firmly in the green. And when it was finished I could easily hold both the part and the cutter, which were both 'warm' rather than 'hot'. Lots of lovely golden coloured thin chips though. Could do with an air blast to clear the chips when cutting the pockets as the finish suffered slightly because of this, but will sort that out, and had a slight programming anomaly which produced a weird cut on the very top surface. But overall I'm quite pleased with that. I wish I had a video camera so I could show it in action.